Grains are versatile. Cooked in water until tender they can be served plain or fancy, hot or cold. A staple food in kitchens around the world grains will take the form of savory pilaf, herbaceous salad, hearty soup, deep fried snack, sweet pudding or simply a steaming bowl of plain comfort. Stone ground whole wheat flour and grains, milled daily at Roan Mills Bakery are available in 2, 4 and 10 pound bags at the bakery OR at our Farmers' Markets on Wednesdays, Saturdays and Sundays. Our pasta is made from only two ingredients; flour and water. We mill our flour at the bakery on our 20 inch Meadows Mill, all the vitality, flavor and nutrition in the grain is also in the flour. The flavor of the grain is what makes our pasta so delicious. 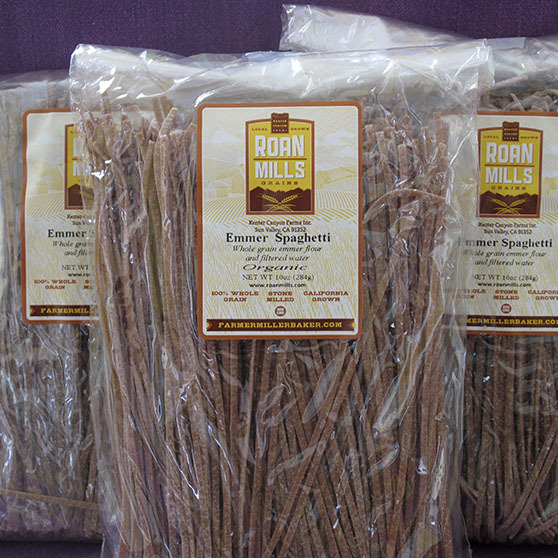 The cellophane bags we use to package our Roan Mills pasta are 100% biodegradable and can be included in your compost bin with yard and kitchen scraps. We blend our Red Fife and Glenn wheat varieties to create dark, flavorful bread with a crusty exterior and an even crumb, tastes of hazelnut, earthy, fall leaves kind of flavor. 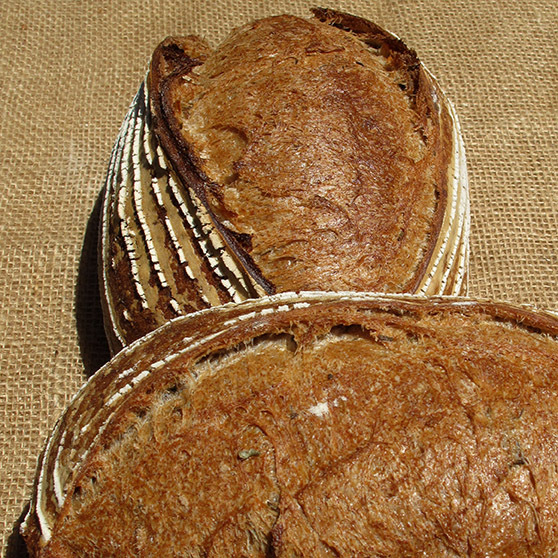 We blend our Red Fife and Glenn wheat varieties to create dark, flavorful bread. The sandwich style uses more water in the dough and the soft dough requires a sandwich loaf pan to support it as it develops. The resulting loaf is marvelously soft and makes excellent breakfast toast. 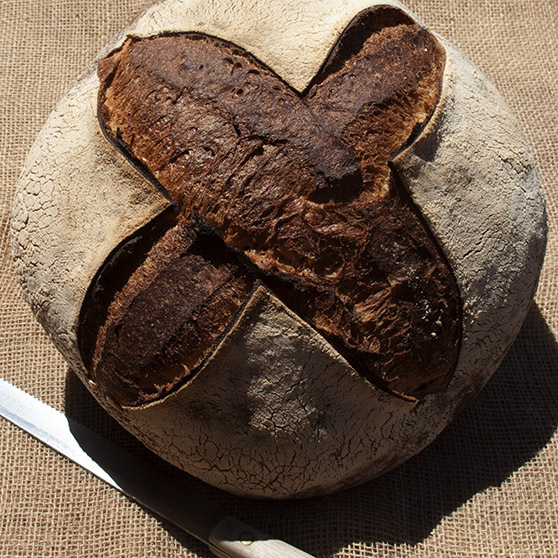 We blend our Red Fife and Glenn wheat varieties to create dark, flavorful bread with a crusty exterior and an even crumb, tastes of hazelnut, earthy, fall leaves kind of flavor. The large mass of fermenting bread dough allows certain flavors to develop that are not otherwise expressed. It keeps well for 10 or more days if wrapped in heavy paper, linen or aluminum foil. 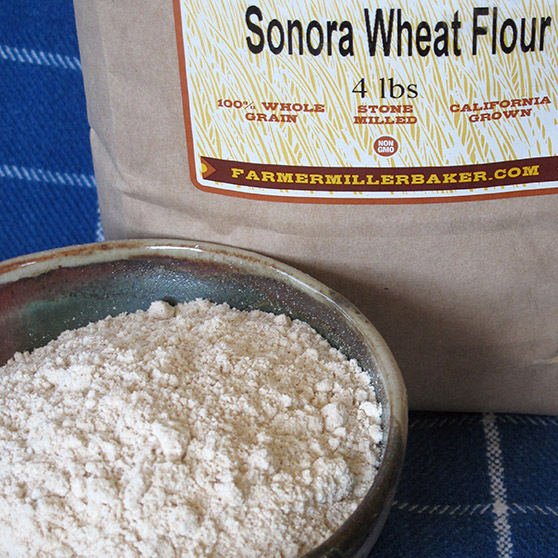 Our Sonora wheat variety has a golden color and a very mild flavor. We produce a light colored loaf with a crusty exterior and a creamy crumb with flavors of corn, summer days and sour dough. 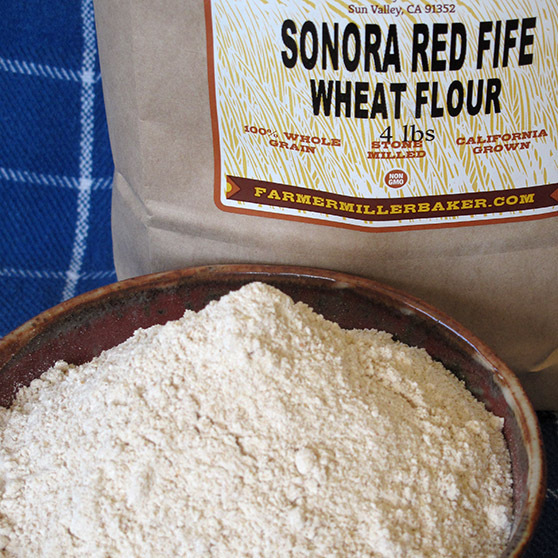 Our Sonora wheat variety has a golden color and a very mild flavor. We produce a light colored loaf with a crusty exterior and a creamy crumb with flavors of corn, summer days and sour dough. The sandwich style uses more water in the dough and the soft dough requires a sandwich loaf pan to support it as it develops. The resulting loaf is marvelously soft and makes excellent breakfast toast. 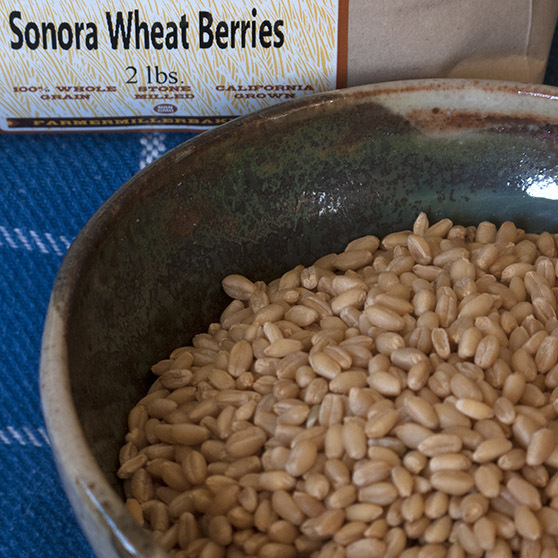 Our Sonora wheat variety has a golden color and a very mild flavor. We produce a light colored loaf with a crusty exterior and a creamy crumb with flavors of corn, summer days and sour dough. The large mass of fermenting bread dough allows certain flavors to develop that are not otherwise expressed. It keeps well for 10 or more days if wrapped in heavy paper, linen or aluminum foil. 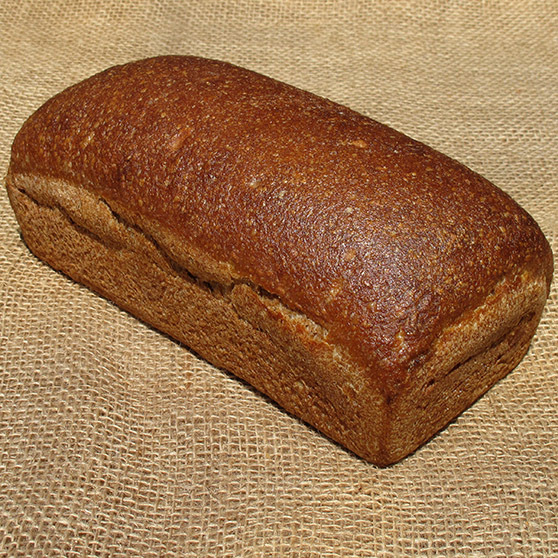 Our Glenn wheat flour produces excellent bread with a dark color, pronounced wheat flavor and an open crumb. The crust is crisp and the flavor is wheat forward with a natural toasted quality. 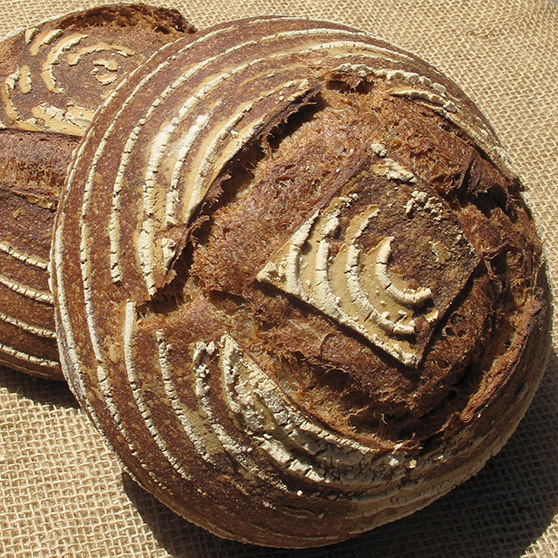 Our Glenn wheat flour produces excellent bread with a dark color, pronounced wheat flavor and an open crumb. 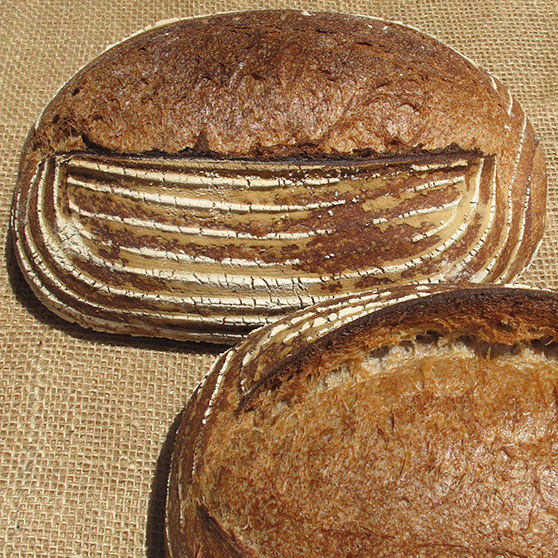 The crust is crisp and the flavor is wheat forward with a natural toasted quality. We add fresh, organic rosemary to our dough and love this bread in both sweet and savory pairings. Try it toasted with butter and apricot jam or with cheese and tomato for an excellent snack. 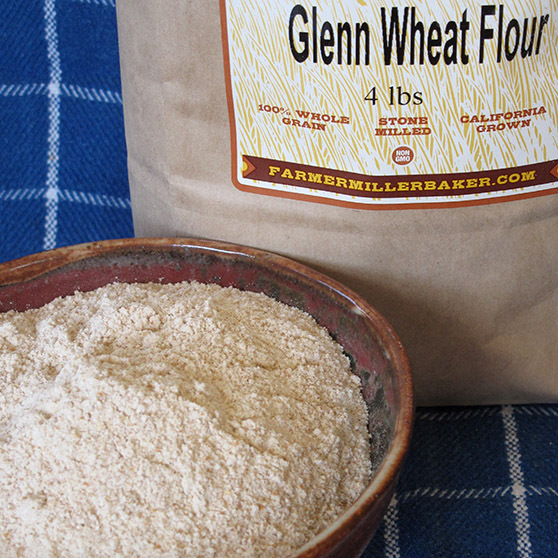 Our Glenn wheat flour produces excellent bread with a dark color, pronounced wheat flavor and an open crumb. 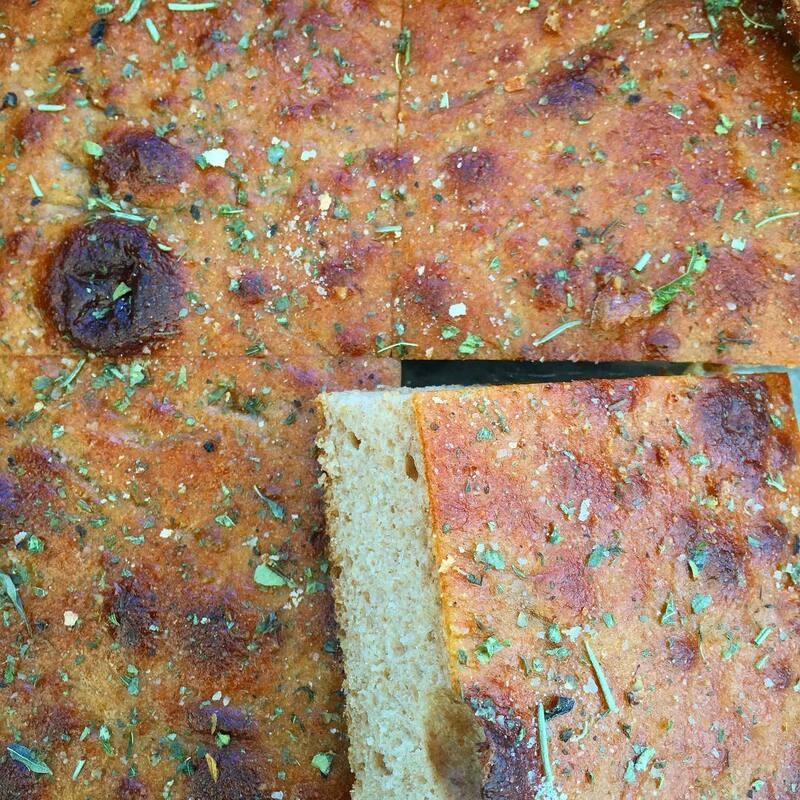 When we increase the water, add a measure of fine California olive oil and a scattering of organic, dried herbs we have a savory bite that can be eaten as is or used for sandwiches. 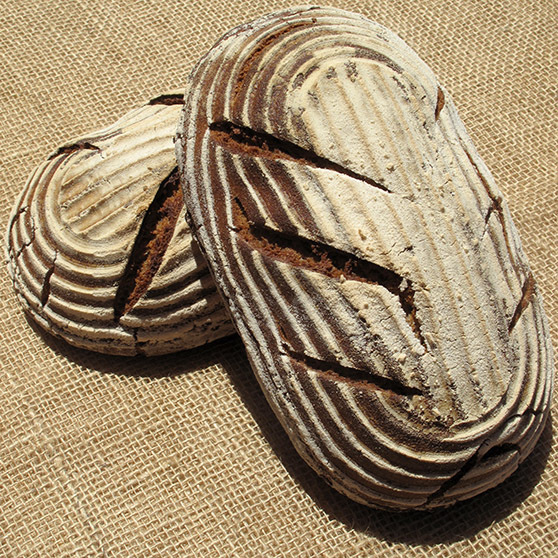 Our Glenn wheat flour produces excellent bread with a dark color, pronounced wheat flavor and an open crumb. 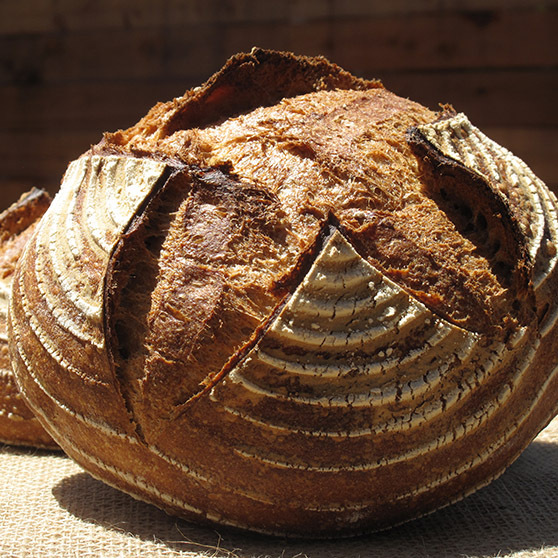 The crust is crisp and the flavor is wheat forward with a natural toasted quality. The large mass of fermenting bread dough allows certain flavors to develop that are not otherwise expressed. It keeps well for 10 or more days if wrapped in heavy paper, linen or aluminum foil. This loaf can be sliced into 20 servings. 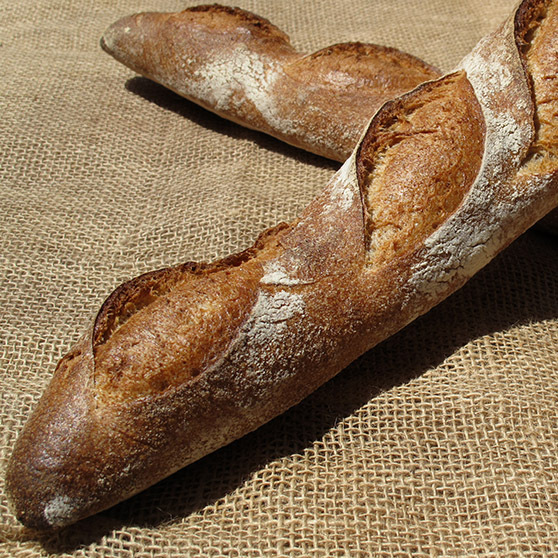 Our blend of Sonora and Durum flour produce a baguette with a crisp, golden crust and a creamy, open crumb. Whole grain flours with real flavor are showcased in this classic version. 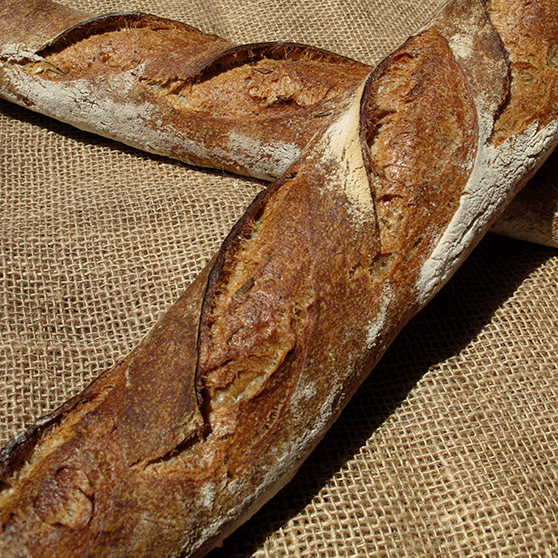 Our blend of Sonora and Durum flour produce a baguette with a crisp, golden crust and a creamy, open crumb. Whole grain flours with real flavor are showcased in this classic version with the addition of fresh, organic rosemary. This bread makes excellent sandwiches. Our rye bread is the real deal rye bread that is popular in northern Europe but almost impossible to find in the states. We use a sour dough rye starter for this bread, 70% whole grain rye flour and 30% Red Fife flour. It has a distinctive rye flavor with overtones of chocolate and caramel. Sliced thin to make open face sandwiches this bread is nutritious and delicious. 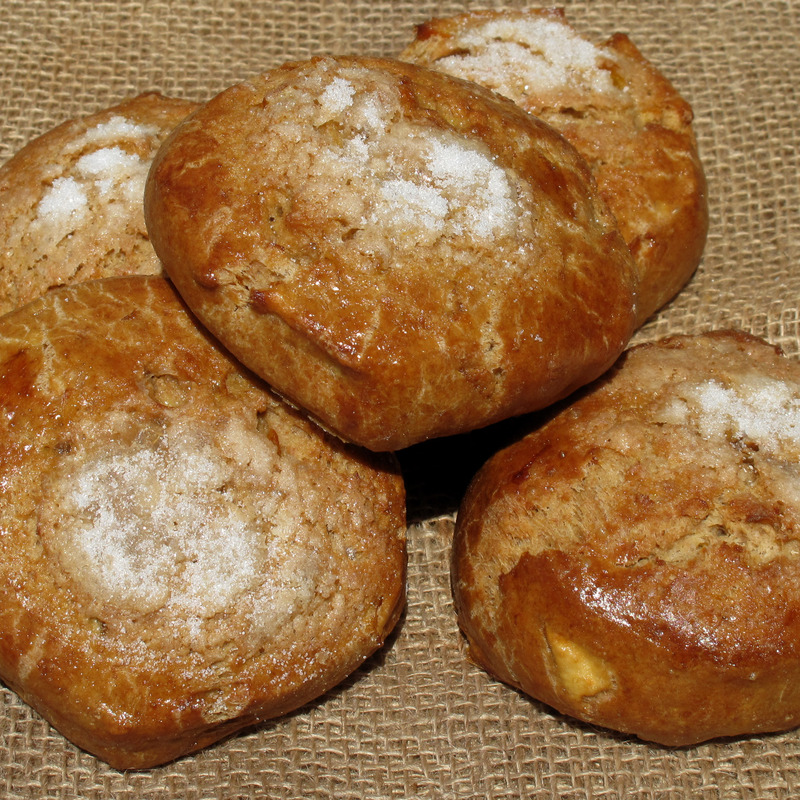 Our fresh milled, whole grain Sonora flour makes these scones tender and delicious. We use whole organic oranges for flavor and use just a bit of organic sugar to create a sweet treat but not too sweet. These scones are just right with a cup of tea. 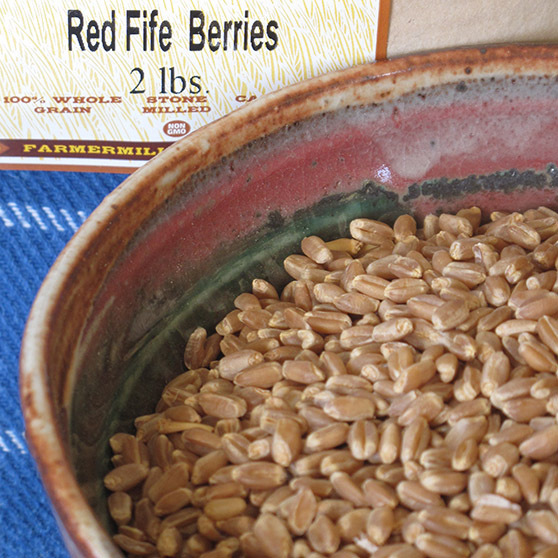 With a lovely golden yellow color, these wheat berries contrast nicely with dark leafy greens and herbs. Heritage wheat with a mild flavor and warm brown color. 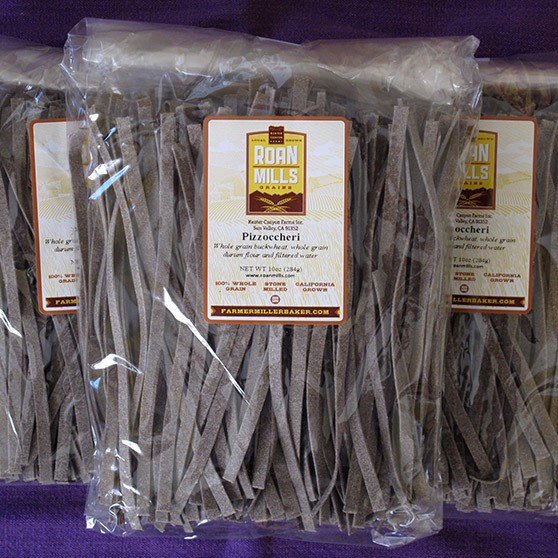 An ancient variety with high protein content and a sweet meadow fragrance. 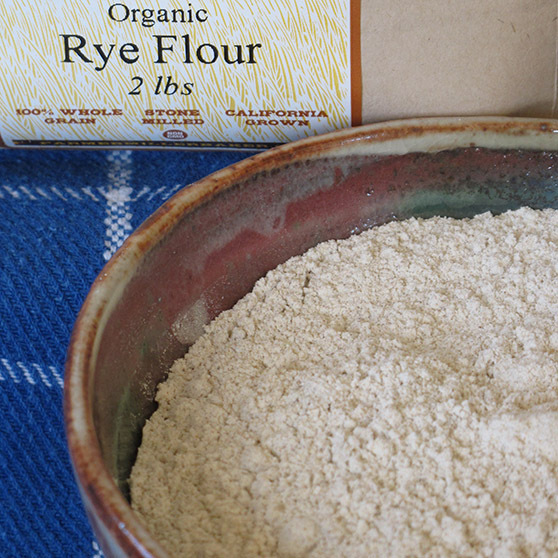 A very old, landrace variety, this versatile flour works well for pie crust, pancakes and waffles. The warm yellow color of the wheat berries is passed along through our whole grain milling process and will inform all baked goods with the same lovely golden color. 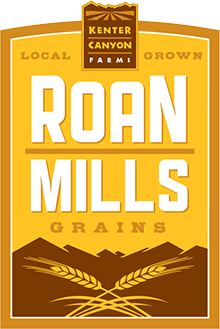 Roan Mills blends the heritage Red Fife wheat with the landrace Sonora wheat to create a versatile blended flour with excellent baking qualities. This heritage wheat makes great bread. 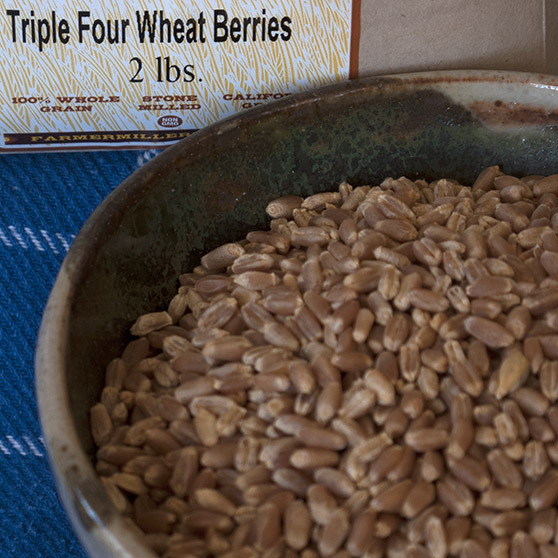 The dark brown color of the wheat berries is passed along through our whole grain milling process and the flour will bake up into a dark brown bread with strong, wheat forward flavor. This is the darkest of our wheat varieties and makes great bread. 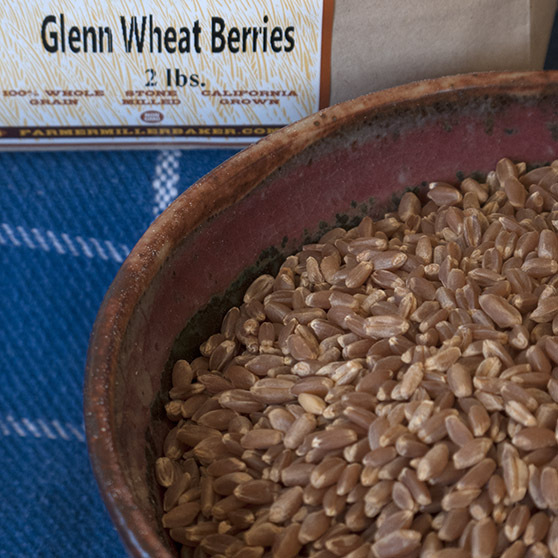 The dark brown color of the wheat berries is passed along through our whole grain milling process and the flour will bake up into a dark brown bread with strong wheat forward flavor. 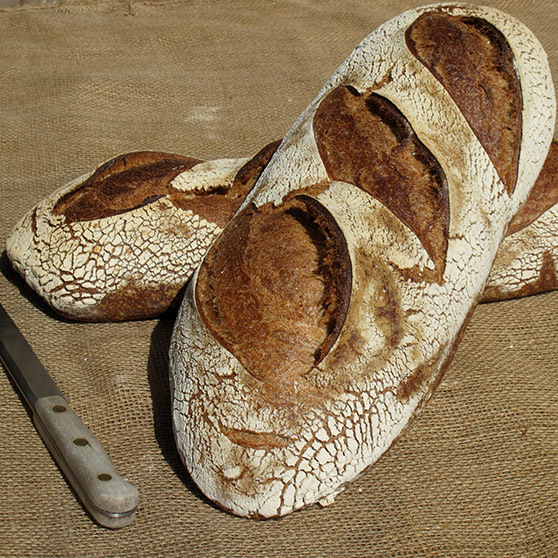 An excellent bread flour with a pale cream colored wheat berry. The pale cream color of the wheat berries is passed along through our whole grain milling process and the flour will bake up into cream colored bread with excellent flavor. 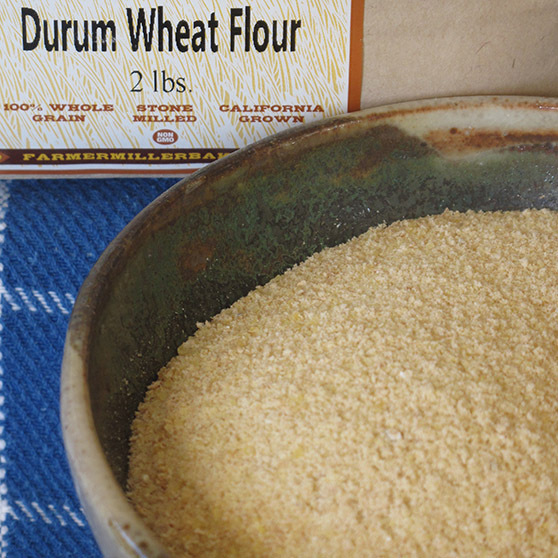 Our whole grain durum flour is golden yellow and full flavored with high protein content. Make pasta, flatbreads or blend with other wheat to create golden breads with excellent flavor. 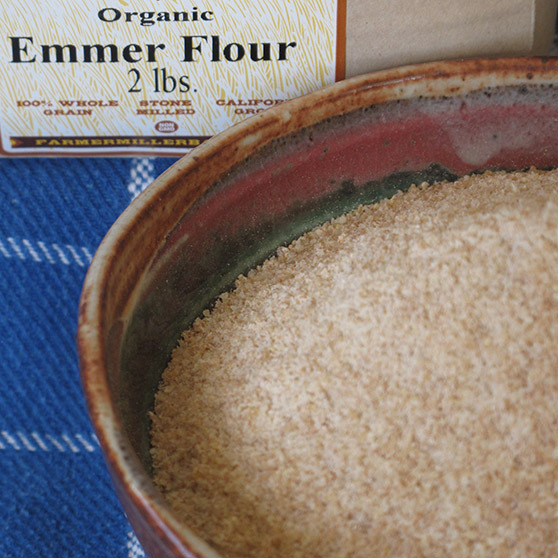 Our whole Emmer flour is a toasty brown color and full flavored with high protein content. Make pasta, flatbreads or blend with other wheat to create brown breads with excellent flavor. 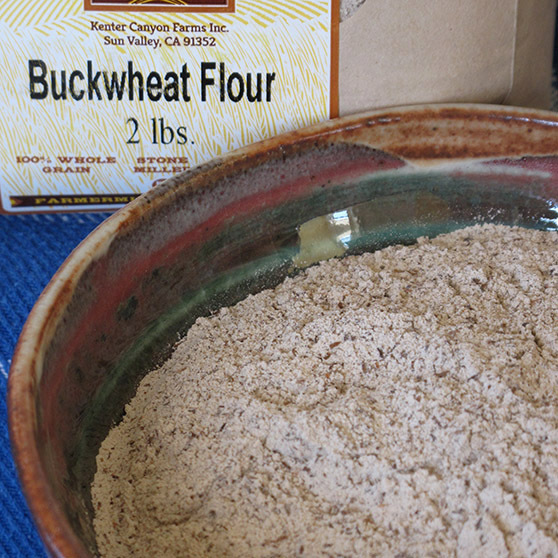 Our buckwheat flour is whole milled and very dark and flavorful. 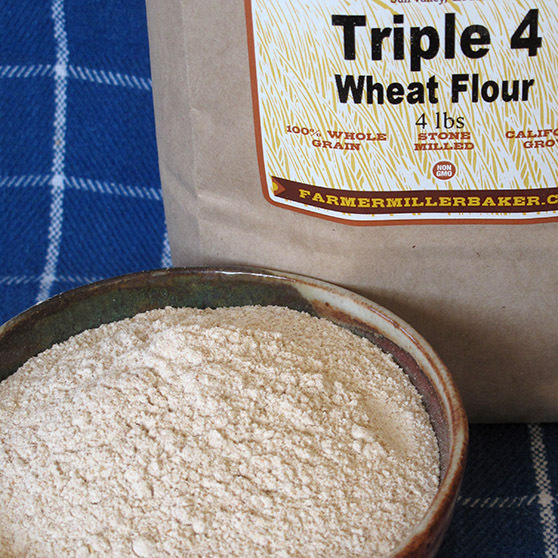 This versatile flour works well for pie crust, pancakes and waffles. The black color of the buckwheat is passed along through our whole grain milling process and will inform all baked goods with the same dark color and earthy flavor. 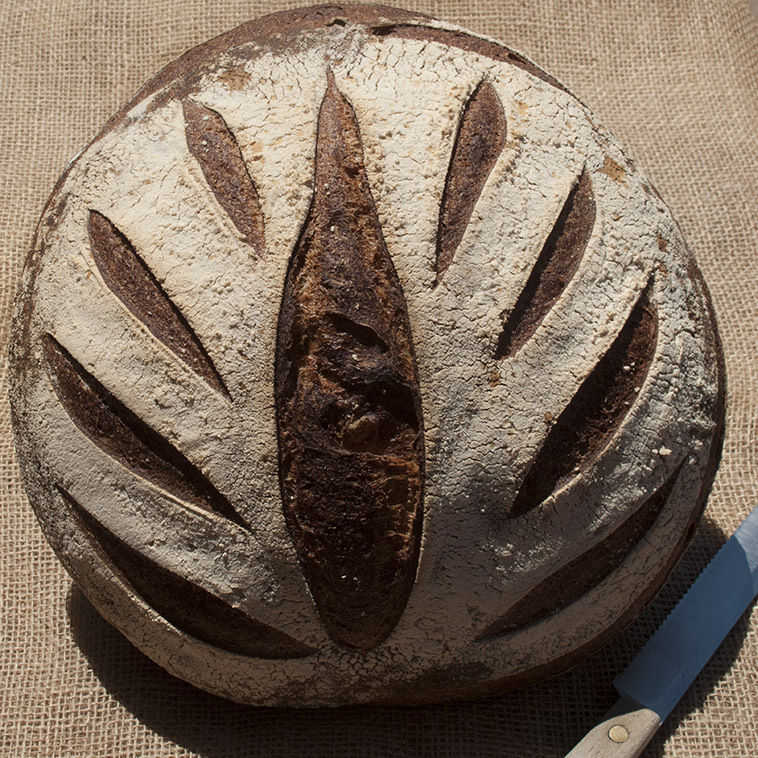 Our rye flour is whole milled and very dark and flavorful. 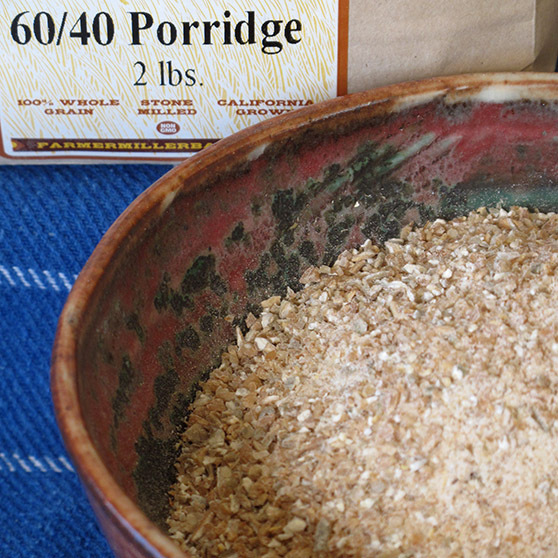 This versatile flour works well for Bread, pie crust, pancakes and waffles. The dark color of the rye berries is passed along through our whole grain milling process and will inform all baked goods with the same dark color and earthy flavor. 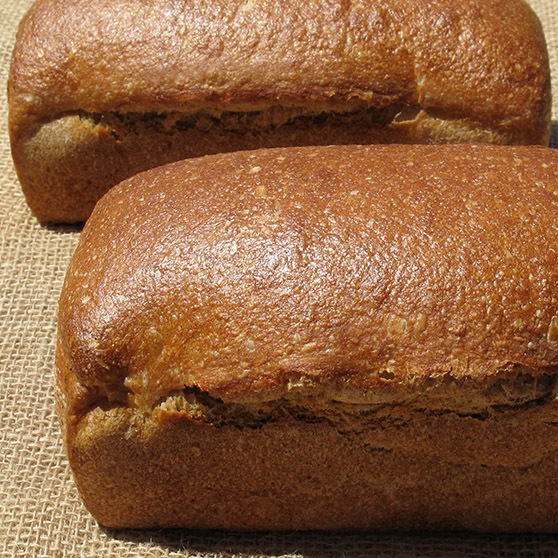 Cracked Rye at 60% and cracked Red Fife at 40% combine to make a hearty cooked cereal that can be served as a sweet breakfast cereal or a savory side dish. 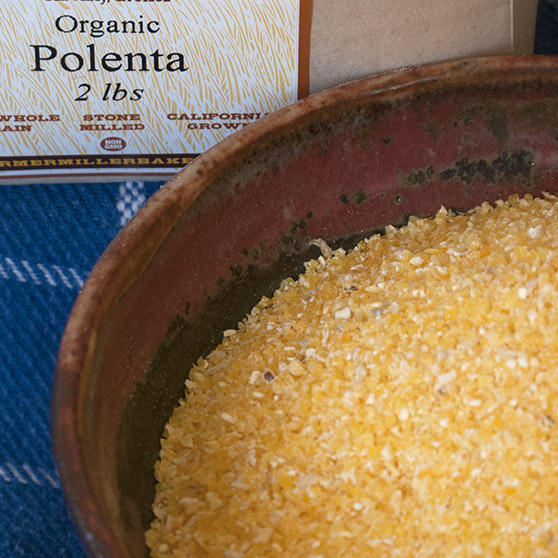 Our heritage yellow dent corn is milled weekly into whole grain polenta. The bright yellow color and pronounced corn flavor attest to its freshness. 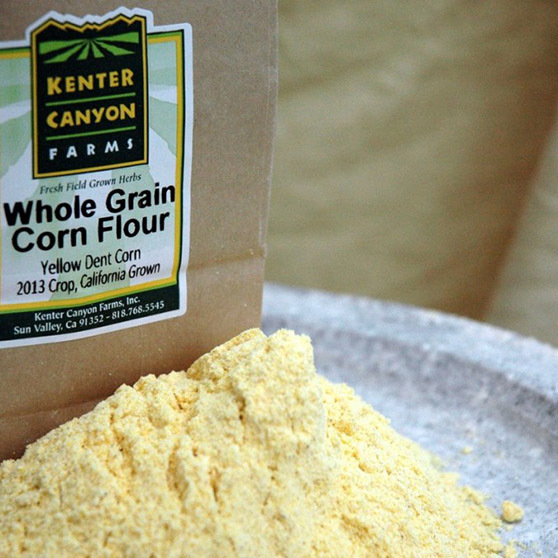 Our heritage yellow dent corn is milled weekly into a fine whole grain corn flour. 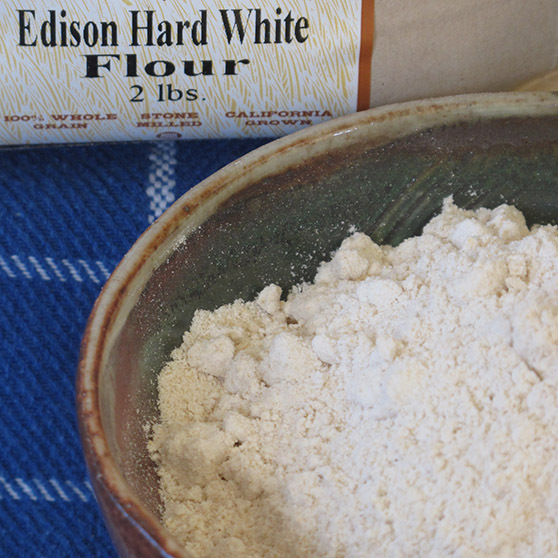 Blend with our Edison Wheat and bake cornbread with a bright yellow color and pronounced corn flavor. Made from our Sonora wheat flour and water, this golden colored pasta has a wonderful flavor that pairs well with classic sauces. Boil pasta in salted water for five minutes and serve. A secret from Lombardy, Italy that we make from our buckwheat and durum flours. 80% whole grain Buckwheat flour and 20% organic durum flour combined with water, rolled and cut into a ribbon of fettuccine. Boil pasta in salted water for five minutes and serve. 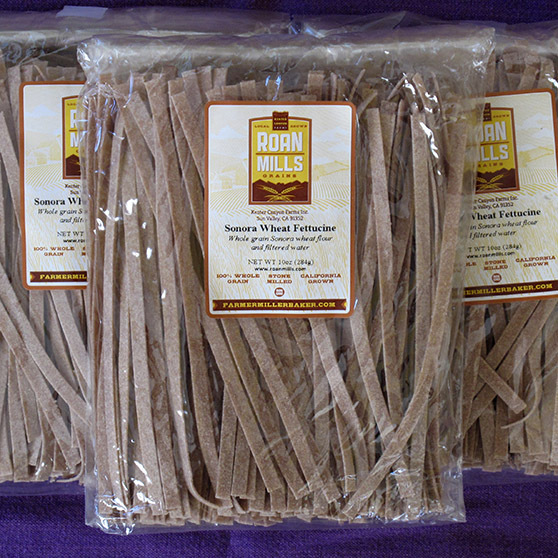 100% organic, California grown durum is milled into flour on our 20" Meadows Mill, combined with water, rolled and cut into fine spaghetti. Boil pasta in salted water for five minutes and serve. 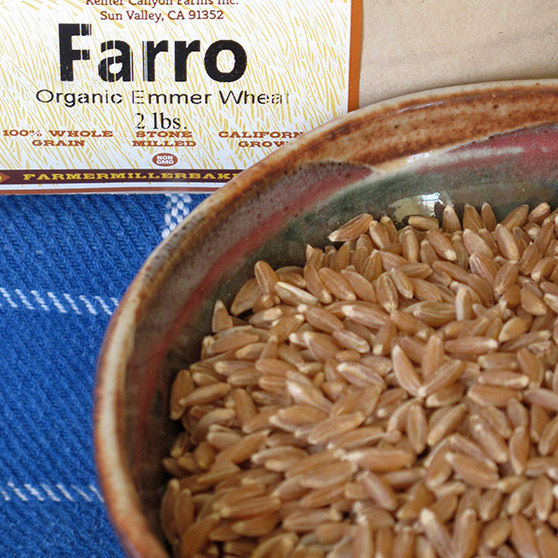 Our 100% organic, California grown Emmer wheat is a superfood with 18% protein. This ancient wheat is milled into a fine flour on our stone mill. 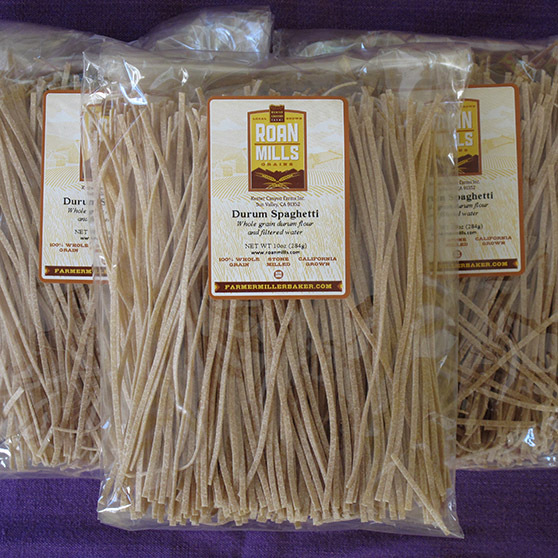 The resulting whole grain flour is mixed with water, rolled into sheets of pasta, cut into fine spaghetti and dried. Boil in salted water for just 5 minutes and serve it forth with your favorite sauce. See our recipe for a sauce of Spinach and Quince.